The Power Rangers, nostalgia for some, yet fresh in the minds and hearts of others, seeing this is based on the still ‘new’ series that revolves around a Samurai theme. It has been a while since I personally saw anything Power Rangers related on the market but finally that wait is over. Then again having to wait a long time for something does not mean it’s actually worth it. 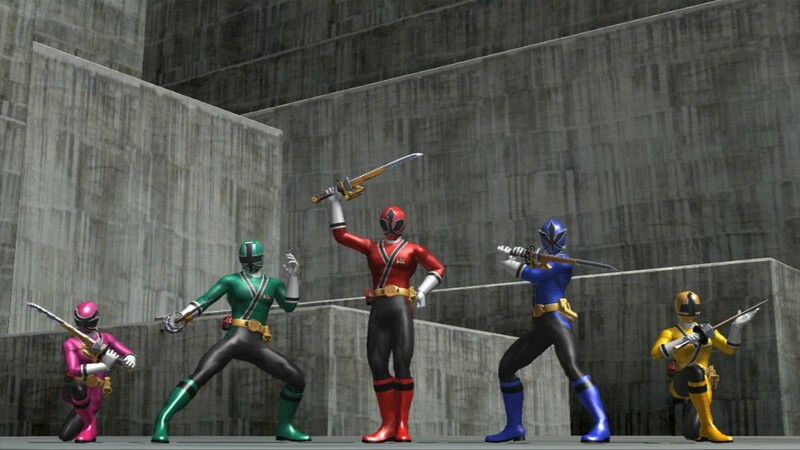 It’s possible to divide the ‘story’ of Power Rangers Super Samurai in 2 parts, namely the part which revolves around the rangers mode and the part which sets itself around the training mode. The Ranger mode will show you villains from the series but without any further background. Even for those who have seen the series you will hardly get any story value. Which simply means newcomers will only see incoherent pieces of a would be story that is lacking in every possible way. The developers however tried to compensate with the adding of real footage of the series. Sadly these fragments are only around 0.5 up to 3 seconds of actual footage from the series. The Training mode allows you to train with the rangers themselves or even the nighloks (which are the baddies!) to learn how to be a better hero or villain in this case as well. Sadly again there is no real story value and in the end both modes will pretty much depend on how good you are in imagining your own storyline. 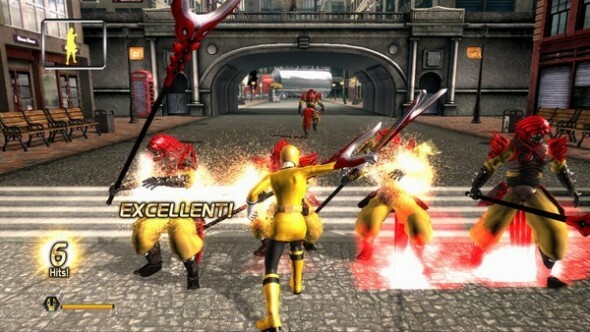 Power Rangers Super Samurai look as if the game was originally designed to be released on a previous generation of consoles. Don’t get me wrong not everything has been done in a way that reminds you of a retro game. We sometimes get lucky and see a boss of one of the levels in a fairly detailed way, which will only please fans who are watching the samurai series and of course those who can appreciate a decently designed villain. The way the Kinect implements you in the game before you morph looks as if someone glued a picture of you on your television set. The first suit that covers you in the first stage of morphing looks even more horrible and will give you the feeling you caught the designers with their pants down. Areas in Power Rangers Super Samurai aren’t better either, they look empty and just don’t feel attractive at all. Again we get treated to an occasional item that looks as if it belongs on this generation of consoles but that’s about it. The musical score of Power Rangers Super Samurai is quite satisfying because it will treat you to the original soundtrack and typical voice effects you will come across in the series. The voices in training mode can sound a little annoying but that pretty much about it. A small redemption for the awfulness to come. A Power Ranger games for the kinect will leave you with the expectation to relive your childhood fantasies (or even current fantasies) of actually becoming a Power Ranger. If this involves you swinging you hand in such motions you can feel the blood gathering in your hand, you might actually be correct. We’ll start off with the things that actually work, namely the menu. The menu (like all kinect games) works with hand motions and they work as they should and I dare even say, better than a lot of other Kinect titles. The developers even implemented a way of using voice commands that actually work for the most part and also feel like the game that might be following has a decent understanding of how the kinect works. 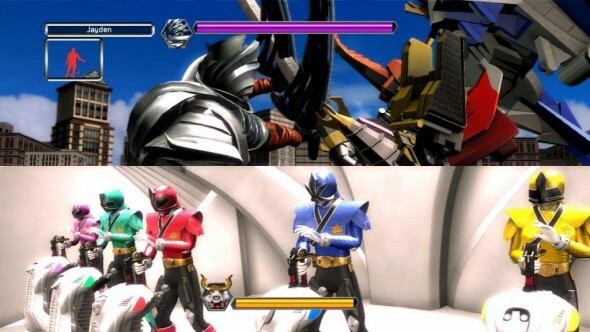 As mentioned earlier the game consists out of 2 modes, namely the Ranger mode, in which you can select the ranger you want to play with, and the Training mode. The Ranger mode is comparable with an on-rail game that will run for you except in actual combat. To close the gap between you and your enemies you will have to punch, kick or swing your weapon to perform attacks and close in. After only a minute or 2 you will notice that only kicking will not feel like you’re doing it wrong, yet this is probably the most ineffective way to battle your foes. Which pretty much leaves you with the option of having to swing your sword (I can swing my sword, sword…) like there’s something wrong with your mental state of health. To get through the levels you will pretty much end up in flinging your arm from the left to the right to complete the levels the Ranger mode throws at you. You will also have to dodge attacks or incoming items by either jumping, ducking or doing sidesteps. All actions, including attacks have a delay time that will annoy the hell out of you to time your dodging actions. Only the sidestep seems to be work on time, but the game decides you only have 1 second sidestepping time – Sigh – which means if you actually pull of a decent dodge, the game resets your position without you actually stepping back to the middle of the kinects view. After most bossfights you will have to defeat their final form in your own powerful MegaZord, which feels pretty much the same as the normal game but clunkier and slower and with the addition of having to perform a kinect way of quick time events. This entire mode will only take you around 1 hour to finish. 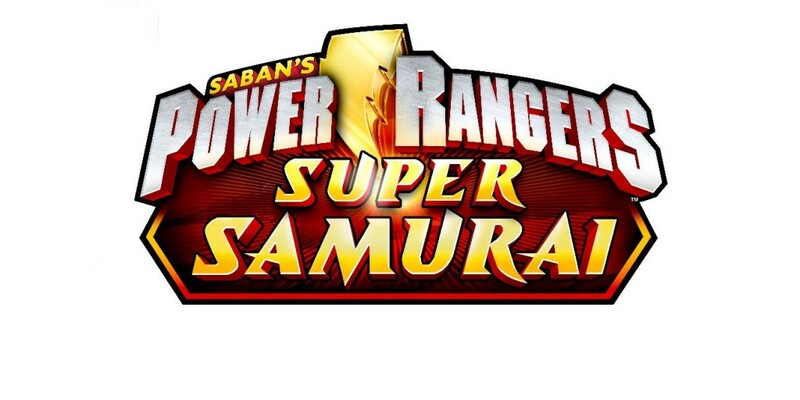 Saban’s Power Rangers Super Samurai offers you the option to suffer through this game locally with a friend. (Or someone you don’t actually like if you make them play this game with you) In suffering I don’t mean the actual gameplay per se, but the fact one of you will get smacked several times during your playthrough because you will start swinging your arms more and more, hoping the game will respond to your ‘commands’. Saban’s Power Rangers Super Samurai is one of those games Power Rangers fans were hoping for ends up to be a dreamcrusher. The game feels off in nearly every way except for the authentic soundtrack and the slight details that will remind you of the series. With some more work and effort (and testing) this could have been a decent game that gave the fans what they were hoping for. In the end it was only good for knocking Steel Battalion: Heavy Armor of its throne of crappiest kinect game I played so far. Kudos I guess. True – and that’s where the points came from.